After a love-hate relationship with Bitcoin, China has moved on to pursue its own digital currency. China’s central bank plans to issue its own digital currency “as soon as possible,” according to Xinhua. The People’s Bank of China made the announcement at a conference on digital currency in Beijing. According to Xinhua, in 2014 the PBOC set up a team to examine the possibility of establishing a digital currency and particularly to study experiences in China and abroad. Two years later, the team “has made progress on technology, legal issues, and the impact on financial systems,” Xinhua said. So why is China pursuing its own digital currency? The PBOC listed a number of practical benefits: a digital currency is cheaper (because it reduces the need to print money), makes trading and financial transactions easier, and also helps cut down on money laundering and tax evasion. However, the logic behind the move may be even simpler. China’s attitude toward foreign cyber innovations has long been “if you can’t beat ‘em, copy ‘em.” China can avoid the aspects of Western technologies it doesn’t like by coming up with its own home-grown alternatives — with Chinese characteristics, of course. Creating a new, official Chinese digital currency could allow Beijing to finally bid goodbye to its complicated relationship with the current reigning digital currency, Bitcoin. Bitcoin experienced its Chinese heyday in late 2013, helping to raise the value of a Bitcoin (BTC) over $1,200. The currency’s popularity snowballed in October, when Chinese internet giant Baidu agreed to accept Bitcoin as a payment method for subsidiary services. At first, the Chinese government seemed bullish on the currency, but there were always lingering concerns, given how little control Beijing had over regulation and tracking of Bitcoin transactions. In December 2013, Beijing moved to curtail the growth of Bitcoin, barring Chinese banks and financial institutions from treating Bitcoins as currency. The bank cited concerns over potential money laundering and financial stability as the rationale for the move. The PBOC also told third-party payment processing companies to stop accepting Bitcoin, leading China’s major BTC exchange to stop accepting deposits using China’s renminbi. Now, China has announced that it’s rolling out its own alternative to Bitcoin, one that will presumably maintain the convenience of a digital currency while removing the aspects Beijing finds most troubling. As Custer points out, China’s eventual digital currency would be quite different from Bitcoin, in that it will be tailor-made for the Chinese government to easily track transactions, and will be under the aegis of China’s central bank. 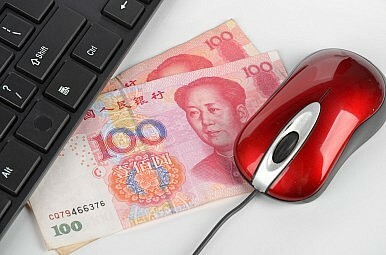 In fact, the PBOC believes a digital currency will actually improve its ability to control China’s currency. Those criminal applications are factors China’s analysts will consider as they continue to study the potential for a Chinese digital currency. Beijing apparently liked some of what it saw in Bitcoin — enough to set up its own digital currency taskforce — but will tread carefully to avoid losing control of Chinese financial transactions. The Chinese government is determined to cement its place as a leading rule maker, now in cryptocurrency.